One of the best ways to do just that involves leveraging the power of the internet to directly reach, influence, and convert your target audience. Below are some best practices for social media marketing for real estate agents, including Facebook business page dos and don’ts and the importance of having a professional, custom fan page. When people visit your Facebook business page it is almost always because they see something in their newsfeed from you that is intriguing. Believe it or not, people love talking about themselves; therefore, one of the best practices for your Facebook business page involves actively engaging with your audience and asking for their feedback. Along with asking for feedback, providing high-quality, informative content is essential for reaching and converting your audience. You can share your own blogs (best if written by a professional) with tips, advice, and real estate news. This informative content helps to show your authority and can increase trust, which ultimately can lead to conversions. At the end of the day, social media marketing for real estate agents best practices involve having a business page that is professional and interactive. Following the above tips can help you do just that. Along with using your business page to increase engagement, it is important that you have a custom fan page that helps to better market your business and convert views into buyers or sellers. A custom fan page makes social media marketing for real estate agents a lot more effective and can help you not only with your branding initiatives, but also giving you more credibility and authority. Plus, a custom fan page takes social media marketing for real estate agents to a new level, providing program integration that makes your page more user-friendly and therefore more appealing to viewers – helping you to stand out. 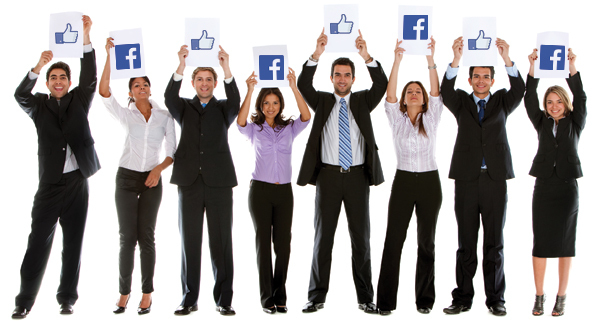 Social media marketing for real estate agents is an essential part of growing your business. Make sure you are levering the power of a business page and custom fan page to increase lead generation and generate more buzz about your brand.